The Online Etymology Dictionary has the first use of Familiar to mean a spirit being from 1580s, but that's for things like the Malleus Maleficarum, I think? This is less than half of the subtitle, by the way. This reference, however, is not a work of fiction (at least, it wasn't intended to be a work of fiction — beliefs were a little different back then). I believe we should refer to the French corpus for the first clear appearance in fiction. The first usage seems to be in the 1857 poetry collection Les fleurs du mal (The Flowers of Evil) by Charles Baudelaire. There are of course earlier instances of the concept in both languages, in folklore and tales, etc. However, I have focused on the appearance of the actual term, as requested by the OP. 1583 A. Golding, tr. J. Calvin Serm. on Deuteronomie cviii. 661, A Sorcerer, or a charmer, or [he] that asketh Counsell at spirites that are called familiars [Fr. esprits familiers]. a 1545 T. Lanquet Epitome of Chron. (1559) iii. f. 233v, [He] confessed, that he dyd it by the mocion of a familyar spirite. and the OED traces these in turn back to Latin spiritus familiaris in this same sense, from the 15th century, though without further details. 1a. A member of a person's household or family, esp. a servant of a person of high rank. Hence in wider use: a subordinate. Now hist. and rare. 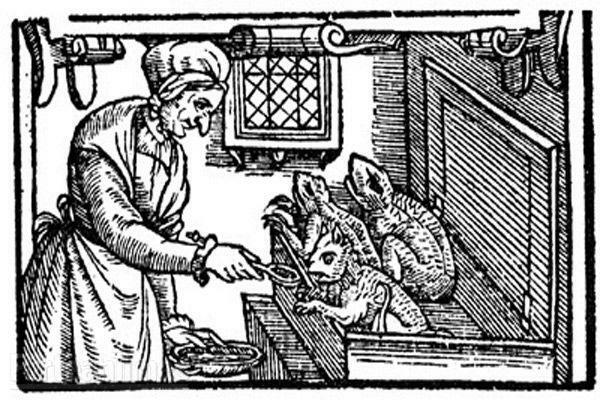 This dates back to 1250, and seems to have still been in standard currency in the 16th century; so perhaps this was what Golding had in mind when he translated esprits familiers as familiars. Not the answer you're looking for? Browse other questions tagged history-of fantasy-genre origins or ask your own question. What is the first instance of a portal to another world? What is the first instance of a mechanism for faster-than-light travel in science fiction? First instance of the flying saucer as a space craft? What was the first science fiction story that showed a successful alien conquest of the Earth? What was the first published SF story to use the surprise twist “and these characters were the original Adam and Eve!” at the end? When, Where and Why did the fashion to depict Fantasy Dark Lords Wearing Spiked Crowns Start?